WoT updated to version 1.1! It's finally here! The new version of WoT is now available and brings a ton of exciting new features! Attack competitors' ships: Now you can attack your competitors to damage their net worth and steal their goods, and you can even give your ships orders to blockade a port. But be careful, doing so will severely damage your company's reputation! Fleets: Now you can assemble fleets with several ships and then assign orders to all of them and once, even automatic trading routes. Upgradeable trade offices: Now you can upgrade your trade offices in order to obtain more accurate prices information. 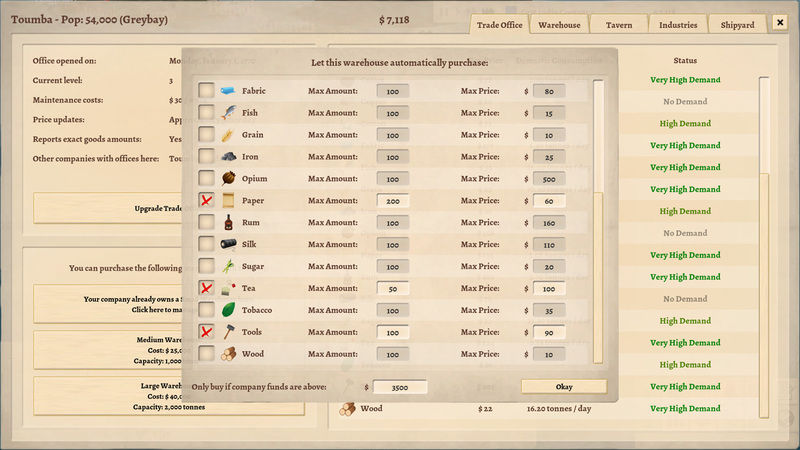 Warehouses: Now you can purchase warehouses in cities in order to accumulate goods, and even assign them automatic orders to purchase resources. 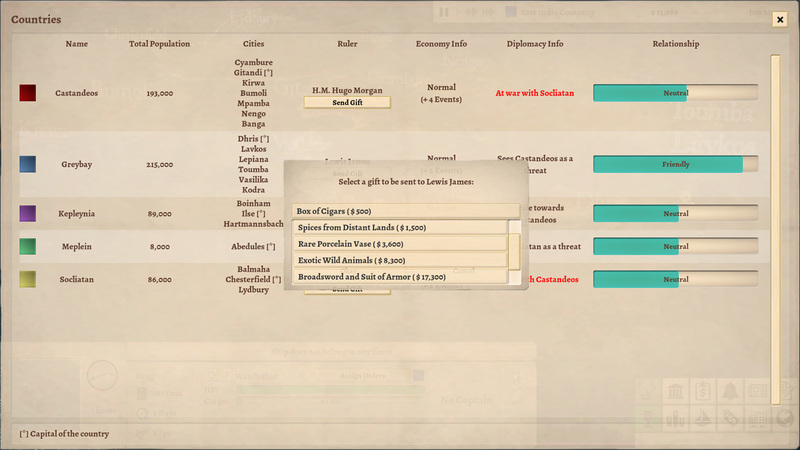 Bribes: Now you can send expensive and luxurious gifts to rulers in order to improve the relationship with them. 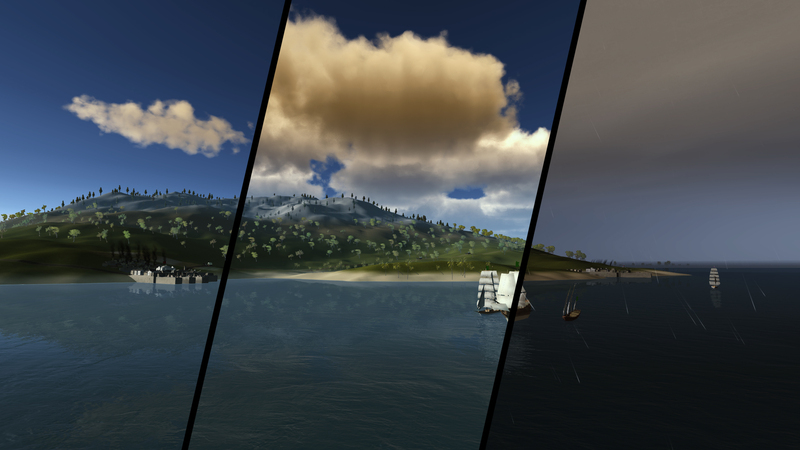 Random weather changes with five different sky conditions: clear, partly cloudy, mostly cloudy, overcast and rainy. New ship types to purchase: Fluyt, Corvette and Heavy Frigate! New resources to trade: Beer and Tea! New "Pacifist" and "Pirate" Steam Achievements. 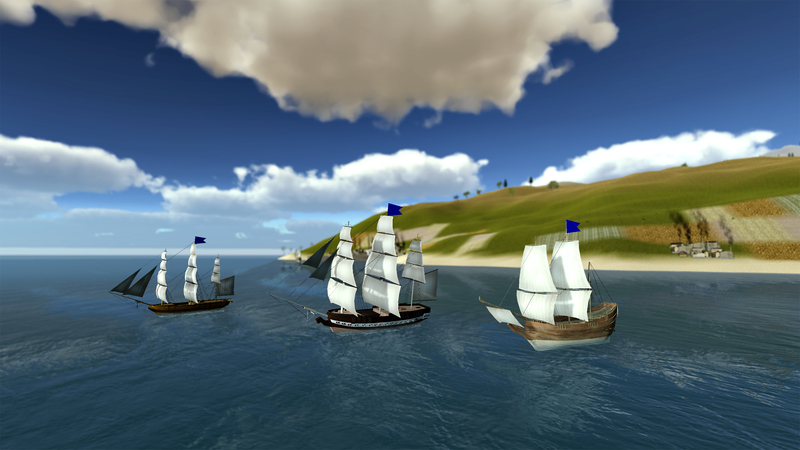 Winds now affect movement in battle. Added indicator for active contracts in the right part of the screen. Added gameplay tips to the loading screen. Added antialiasing when using "normal", "high" or "ultra" quality settings. Camera movement keys are now customizable. Made positive country relationship modifiers last longer. Added notification when the relationship status with a country changes. Added setting to display newspapers as notifications instead of appearing in the middle of the screen. Made "Automatic Trading Route" and "Contracts" windows resizable. Minor improvements to Artificial Intelligence. Made colony building positions easier to spot. Increased maximum number of contracts that can be accepted at once from 4 to 6. Stocks in the stock market can now be purchased in amounts of 50 instead of 100. This is particularly useful when a company's total shares count is 250. Better cloud rendering (only for the Windows version for the time being). Added missing thousand separator in buy/sell stock confirmation message window. 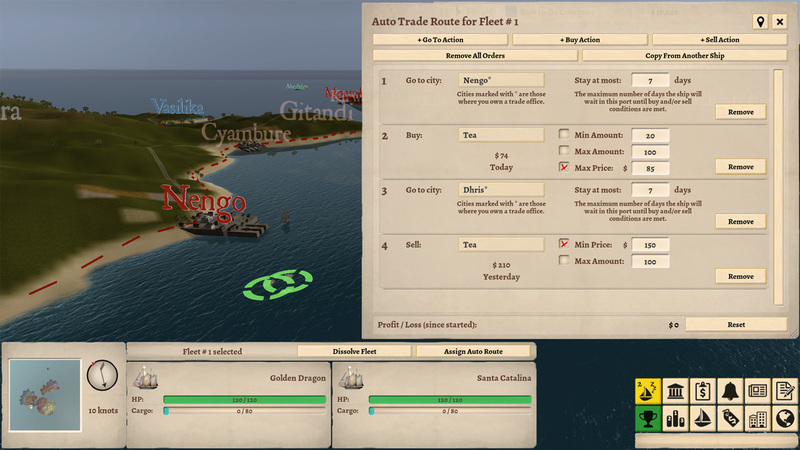 Added a "Cancel" button to the "assign captain" and "copy auto trade route" windows. Added text labels to HP and cargo bars in the Ships Window. Fixed bug that sometimes caused "36 Pound Guns" and "Bronze Cannons" upgrades to have zero effect in battle. Fixed bug that sometimes caused landlocked cities to be generated in the map. 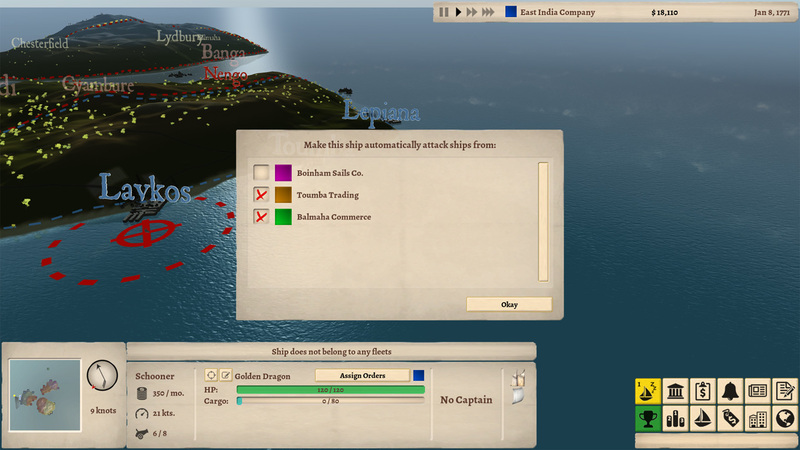 Fixed bug that sometimes caused ships to appear over an obstacle in battle. Fixed bug that caused the colony window not to display odd and even rows in different colors. Available contracts are now persisted in the saved game, so you no longer can save and load the game in order to obtain fresh ones. Available war contracts are now removed if the war that triggered them ended.